Aah…there’s nothing like a Cheltenham meeting to get you excited like a kid at Christmas. Except sometimes, like being a kid at Christmas, you often gets the gifts but the batteries are not included…or in this case the bloody hurdles are removed!!! Can’t keep happening Cheltenham, I’m all for safety first, obviously, but the sun has been on the go for a few years now (!?) and the potential for it being low at certain times of the day is not a new phenomenon. 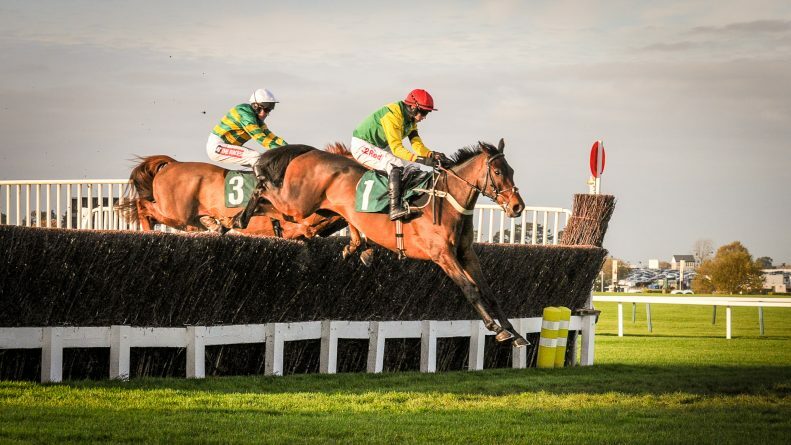 Turning one of the biggest Hurdle races of the year – The Greatwood – into some weird flat/hurdle hybrid contest two minutes before the off only serve’s to p!ss off the many punters who have spend many hours analyzing such a contest. Or did he? Was he maybe just doing what he was entitled to do? Alan King’s 6yo was the best horse in the race on ratings in Sunday’s Schloer Chase and he certainly jumped and traveled exactly like that throughout this contest. It has to be said, however, that he was racing under prime conditions so to my eyes he was only winning this in the manner he was entitled to. Now I’m not trying to detract from Sceau Royal’s display, far from it, he’s a serious horse, but it’s best not to get too carried away with this performance, he was only really doing what he should of been, albeit doing it very well. He does now, however, need to up his game and prove he has what it takes to be a serious player at the top of the table as his form in the February – April period currently reads… 3-0-6-6-9 (0/5)… and that needs to change plenty for him to challenge the very best come the spring time. Sceau Royal is definitely a force on the up but can he make it right to the top? The regularly well-backed 8yo (he has started at single figures on his last 15 starts, fav in 9 of them and 11/2 or less in 12 of them) finished 4th of 15 in the BetVictor.com Handicap Chase on Saturday, having started the race as 11/2 fav. Another race where he was well-supported but failed to deliver. For me, however, I reckon that was a decent effort and probably the best that could have been expected of him on seasonal debut, for he is a horse that does need that first run to blow the cobwebs away. …and there is every reason to believe that he’ll be all the more sharper for this outing. I’m in two minds about the horse at present as he was possibly given a bit much to do from out the back in the BetVictor Gold Cup, where he started as 6-1 fav, and he did make a bit of a hash job of staying on from off the pace and never really looked like getting involved in the finish. He was running off a mark of OR 152 on Saturday, some 15lbs higher than the mark he won the Novice Handicap from at the festival last season, and I just have a feeling that he’s at or very near the ceiling of his abilities. …which although not abysmal certainly isn’t pleasing reading. Is there more to come from Mister Whitaker or has he peaked? Just a little bit of a correction in the ‘Unexposed Handicapper’ guide I sent out recently as in some versions of the guide the Twiston-Davies stats were incorrect (don’t worry, you’ve not missed anything on the qualifier front). Very good report. On the issue with the ” low sun”. What did Cheltenham spend on doing the course up to the current standard £45m. Yes £45m …and they say it’s nature..they cannot do anything about the sun. I agree with you, start earlier…or is it to keep the TV channels happy. Ed Chamberlain and co rant on it’s the home of jump racing..really?. Yes it is the home of jumps racing and the most revered and loved in both UK and IRE. ITV do an excellent job highlighting and making the less well informed of this fact. In a world of Health & Security overload omitting hurdles, fences is the safest solution. Not the best but the BHA are antiquated and do not take change lightly so immplementing a whole scale change would take like forever. Changing race times is a solution as would introducing sun visors for jockeys, a point Robbie Power alluded to a year or so back. The horses of course can’t where these so where do we go. Easy to criticise and bang on about but not easy to remedy. It is not like introducing a few plastic rails here and there to stop horses running out. Definitely not easy to remedy, no, but it is far from a new issue and it does seem to happen at the same meetings year after year. They need to at least try with a timing re-shuffle…they need to at least try something! Hi Ben,Do you have any early thoughts on Ladbrokes Trophy? I really like Dingo Dollar,was wondering roughly where he’d sit on your ratings before I get stuck in ante post. Dingo Dollar would maybe find himself on the shortlist but lack of a win above Class 3 level would be a concern. Depends on the strength of others in the race (on the trends) so I’d say he’d have a 50/50 shot and making the shortlist. Definite chance for the horse, very much an improving type. Do you think Capard King (2.10 Uttox) is worth a punt? Looking at his prime conditions in ‘Trend Horses’ he meets everything except the cheekpieces angle.